A big thanks to the users that requested this handy improvement! 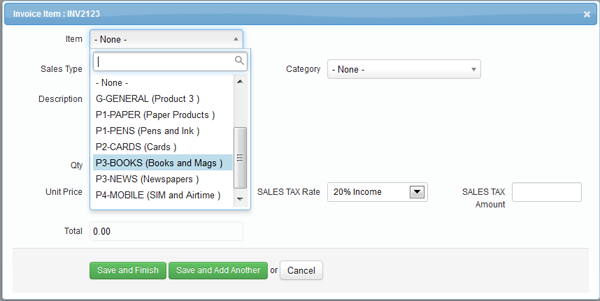 The selection box (combo box) for products has been tweaked to allow searching on the Description field. If you aren’t using saved products, then you are missing out - they are a great time saver and allow detailed reporting on stock and services. Read more about this topic in our help docs.